“Wow! How did you do that? 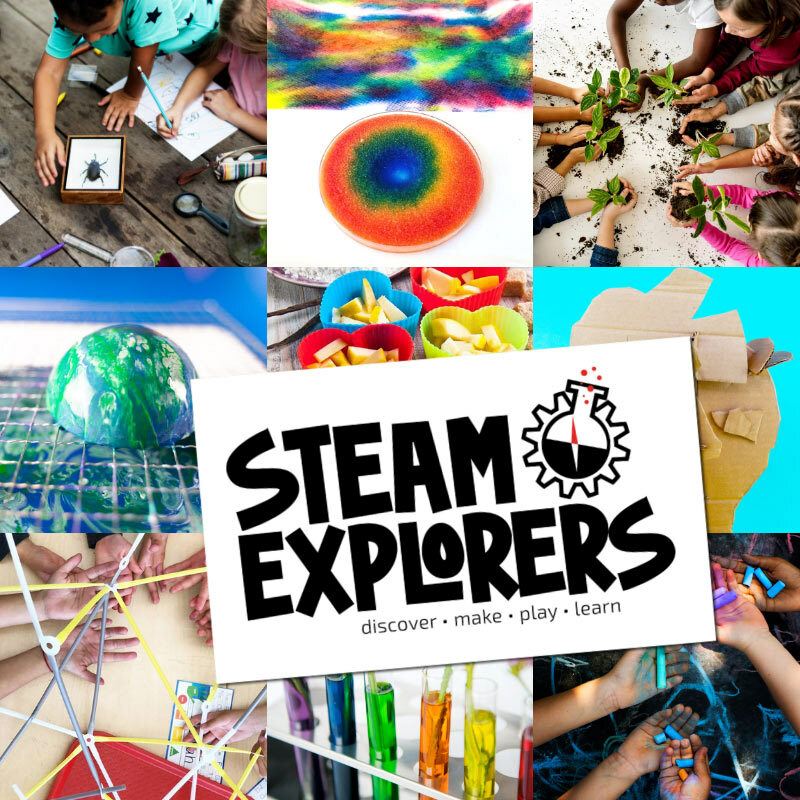 ?” As a parent or a teacher, those are some of the best words you can hear. Well, after I love you, of course. 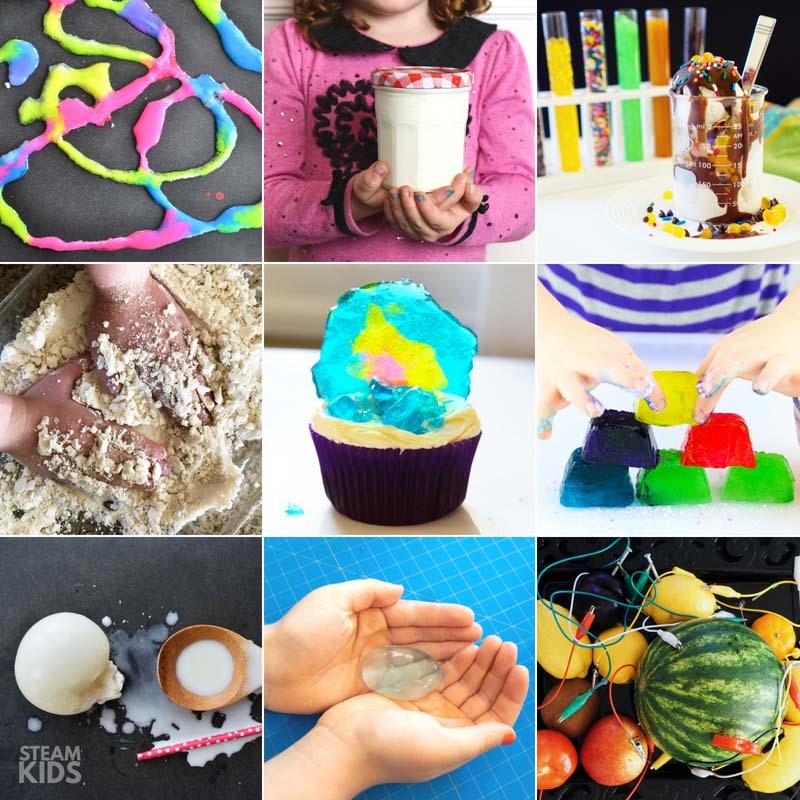 And there’s nothing like science to get the kids intrigued and wondering how something works. 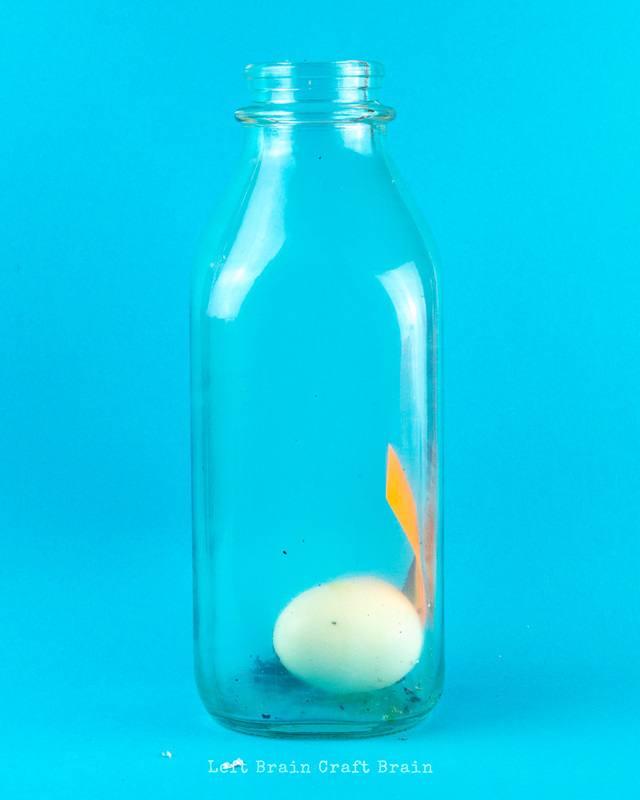 That’s why we HAD to do the classic Egg in a Bottle Experiment. 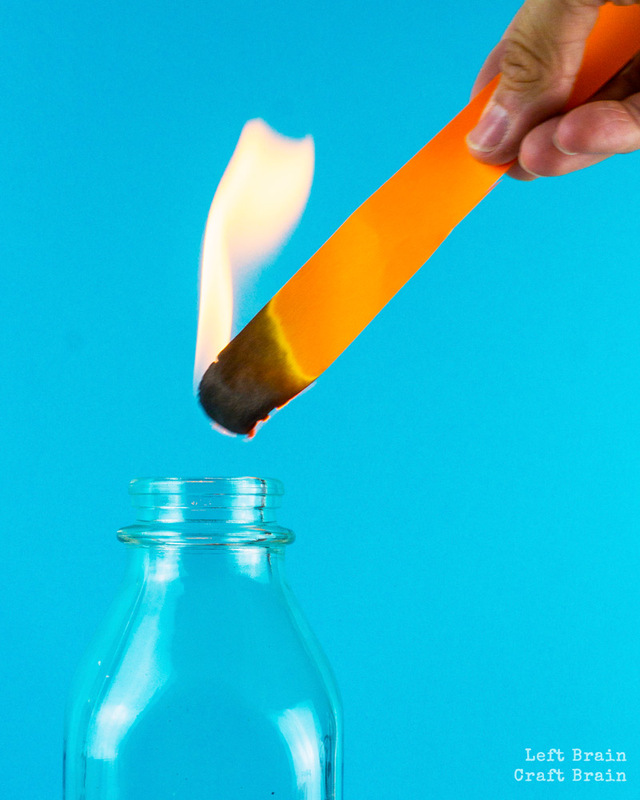 An egg, some fire, and you’ve got a really cool bottle trick on your hands! And some fascinated kids ready to learn. 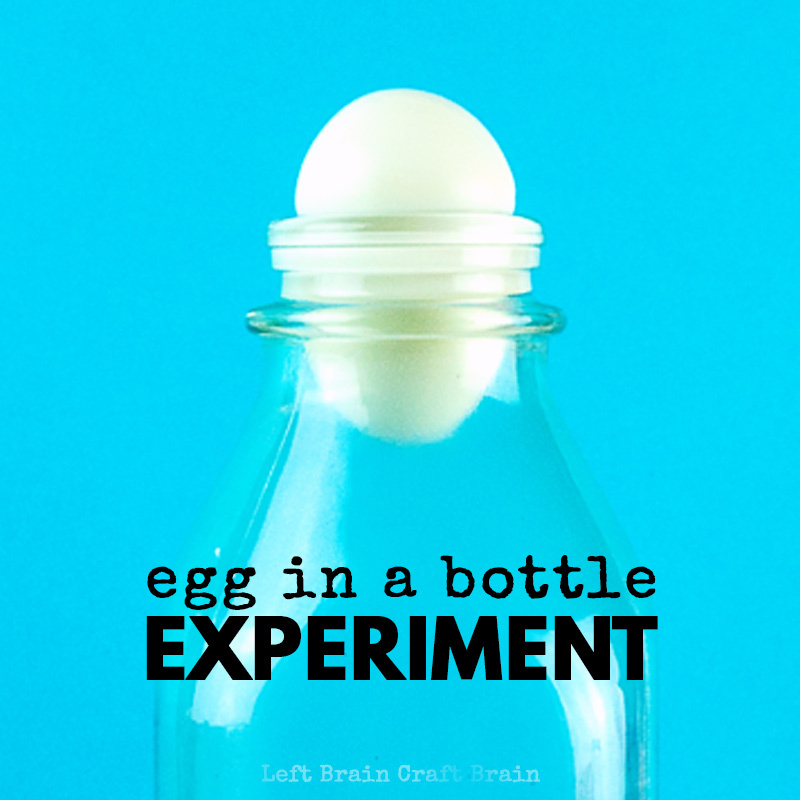 This egg in a bottle trick is best done as a demonstration by adults. Children should never use matches or a lighter. Have the adult complete the part of this experiment that deals with lighting the matches and burning the paper. Always keep matches and lighters out of the reach of children. Also keep a fire extinguisher nearby in case of emergency. Cut a strip of paper 6-8″ long and 3/4″ wide. 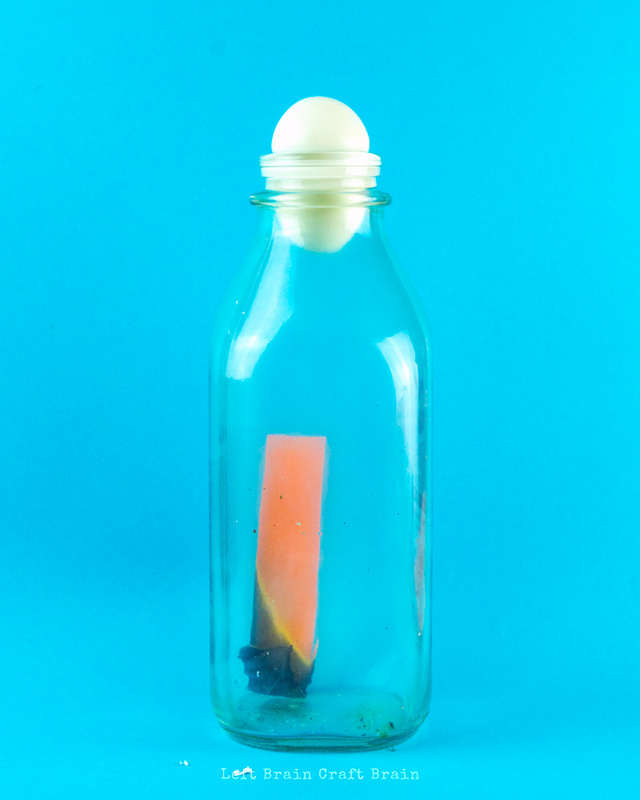 The paper should be narrow enough to easily fit in the bottle and long enough that it ends below the top of the bottle when placed fully inside. Get your eggs ready, peeled, and nearby. 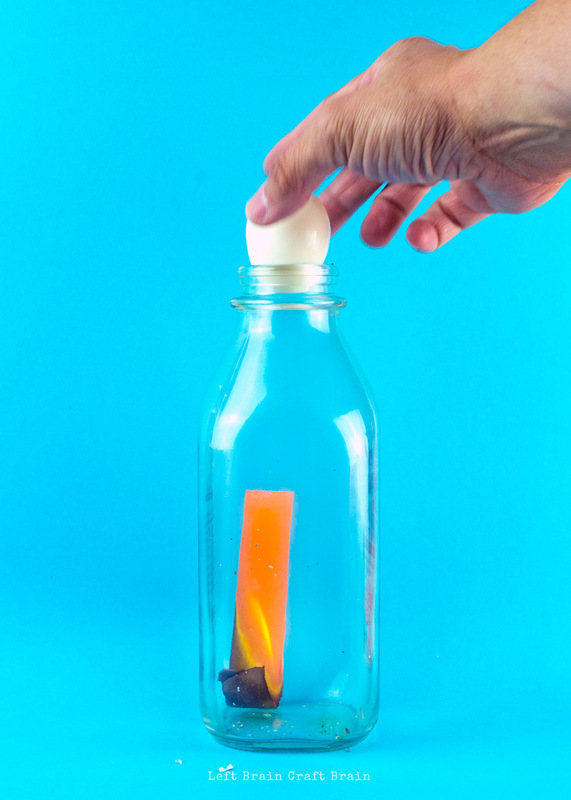 Light the piece of paper and drop it into the bottle. 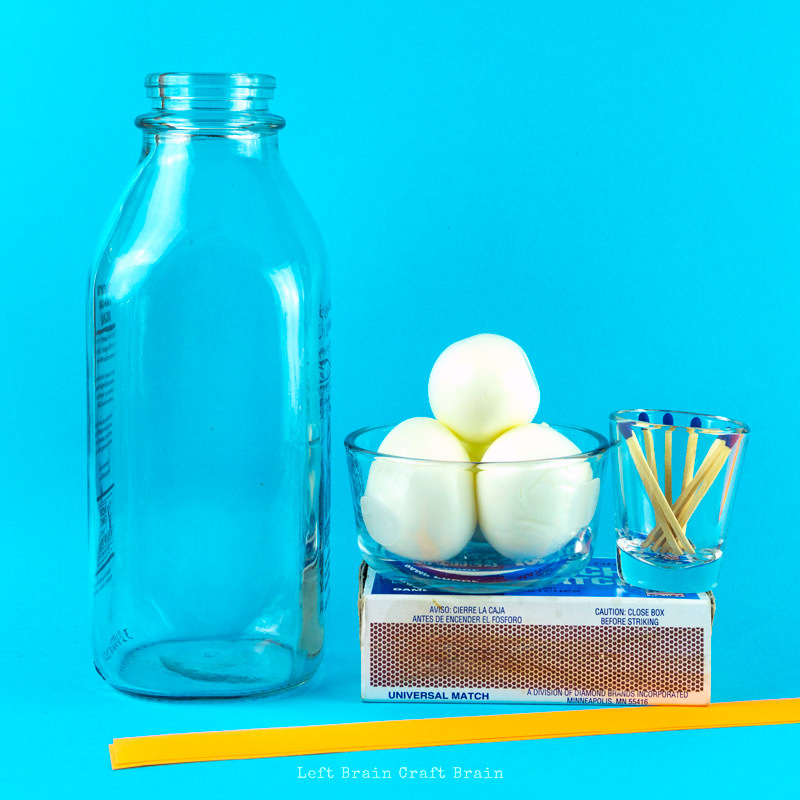 Quickly place the hard boiled egg on top of the mouth of the bottle. Watch it pop inside the bottle! How Did the Egg Get Sucked Into the Bottle? This is a classic science experiment that demonstrates the power of pressure. It looks like the egg is getting sucked into the bottle. But, as my 9th grade science teacher Mrs. Grimm drilled into our heads, there’s actually no such thing as suction. It’s just high pressure winning over low pressure. And air pressure follows something called the Ideal Gas Law. This is a cool way of remembering that when temperature goes up, pressure goes up, too in a fixed environment like a milk bottle. And vice versa. So what’s happening in the experiment? 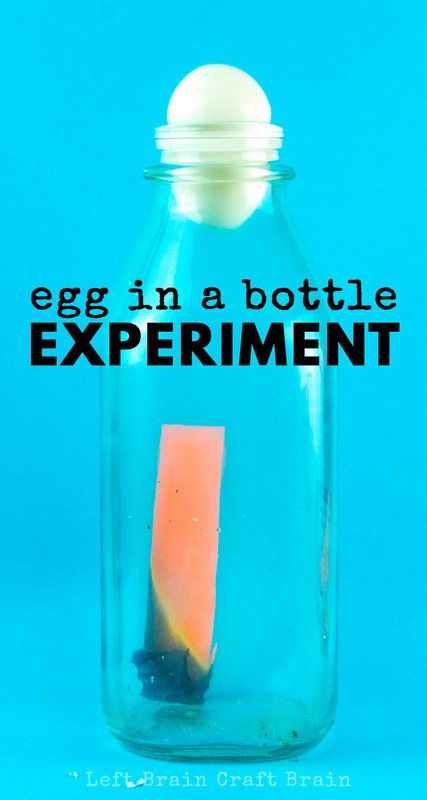 When you start, the air pressure inside the bottle and the air pressure outside the bottle is equal, and the egg can’t move. But, as the paper burns inside the bottle, the temperature goes up, causing the pressure to go up. After you place the egg on the bottle top, it seals up the bottle a bit, but still allows the high pressure to force the air out of the bottle. This is why you may get to see the egg do a little jiggle on top. But, when all the air is forced out of the bottle, the burning paper runs out of oxygen and can’t burn any more. So the flame goes out. And as you can guess, when the flame goes out, the bottle cooled and the air temperature goes down. And, so does the pressure. Suddenly, the pressure on the outside of the bottle is higher than the pressure on the inside of the bottle. And POP! In goes the egg. Because high pressure won over low pressure and air pushed pushed the egg in the bottle.